BAGHDAD (AP) — Al-Qaida's Iraq arm is gathering strength in the restive northern city of Mosul, ramping up its fundraising through gangland-style shakedowns and feeding off anti-government anger as it increasingly carries out attacks with impunity, according to residents and officials. It is a disturbing development for Iraq's third-largest city, one of the country's main gateways to Syria, as al-Qaida in Iraq makes a push to establish itself as a dominant player among the rebels fighting to topple the Syrian regime. The show of force comes as Mosul residents cast ballots in delayed local elections Thursday that have been marred by intimidation by militants. Al-Qaida's renewed muscle-flexing is evident in dollar terms too, with one Iraqi official estimating that militants are netting more than $1 million a month in the city through criminal business enterprises. Mosul and the surrounding countryside, from where al-Qaida was never really routed, have emerged as major flashpoints in a wave of bloodshed that has killed nearly 2,000 Iraqis since the start of April — the country's deadliest outbreak of violence in five years. Gunbattles have broken out between militants and security forces, and several candidates have been assassinated. 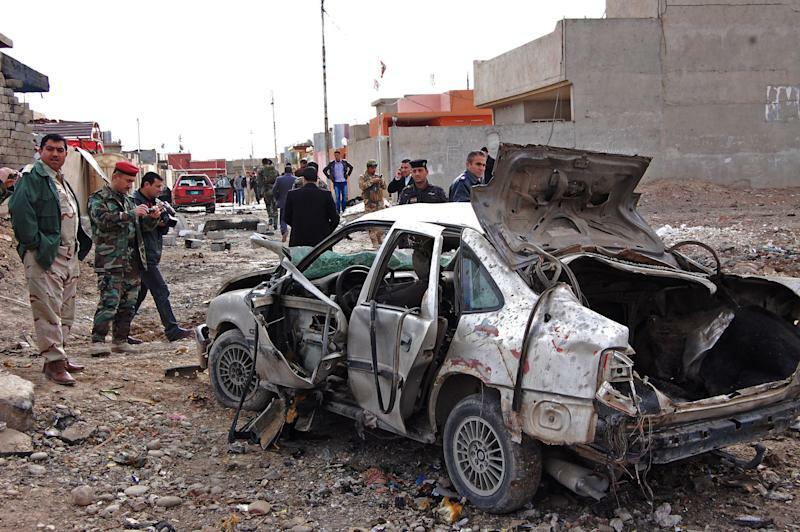 Just since the start of last week, attackers in and around the city have unleashed a rapid-fire wave of five car bombs, tried to assassinate the provincial governor and killed another local politician and four other people in a suicide bombing. The violence increased as Thursday's elections approached in Ninevah and neighboring Anbar province. Iraqis elsewhere went to the polls in April, but the Baghdad government postponed voting in the two provinces, citing security concerns. Other Sunni militant groups, including Ansar al-Islam and the Army of the Men of the Naqshabandi Order, are also active in Ninevah. Mosul is the capital of the Sunni-dominated province. Al-Qaida's growing power is particularly worrying because it is thought to be behind the bulk of the bombings across Iraq and because it is trying to assert itself as a player in neighboring Syria's civil war. The head of al-Qaida's Iraq arm last week defied the terror network's central command by insisting that his unit would continue to lay claim to al-Qaida operations in Syria, too. "We're definitely concerned about it," said a U.S. diplomat about the deteriorating security situation in Mosul. The diplomat, who wasn't authorized to speak on the record, said al-Qaida's Iraq arm sees an opportunity to try to build support in the area and is "out blowing things up to show that the government can't protect and serve the people." Al-Qaida's growing strength in Mosul is painfully clear to businessman Safwan al-Moussili. Traders like him say they are once again facing demands from militants to pay protection money or face grave consequences. Merchants say that practice had largely disappeared by the time American troops left in December 2011. "They tell us: 'Pay this amount.' And if it's higher than before, they say something like: 'You recently went to China and you imported these materials and you made such and such profits,'" he said. "It seems they know everything about us." Small-scale shop owners, goldsmiths, supermarkets, gas stations and pharmacies are all being hit up for money these days. Al-Moussili and his fellow businessmen feel they have little choice but to pay up. About two months ago, he recalls, one businessman refused to pay, and insurgents planted a bomb inside his shop that killed the man. "That forced everybody to pay, because we don't see the security forces doing anything to end this situation," he said. 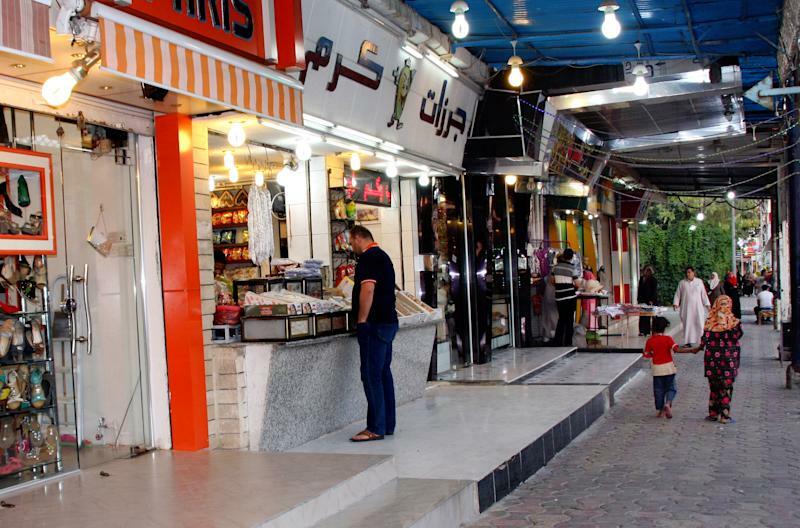 A Mosul food wholesaler, who referred to himself only by the nickname Abu Younis out of concern for his security, said he and other traders resumed paying $200-a-month kickbacks to al-Qaida three months ago after finding threatening letters in the market hall where they operate. Al-Qaida focused its operations in historically conservative Mosul following setbacks in Anbar province in 2006. 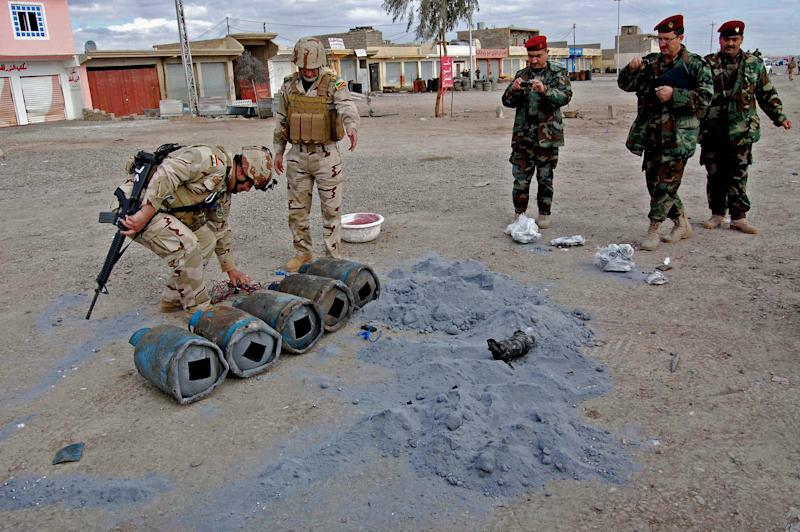 It soon became the only major Iraqi city with a significant al-Qaida presence. The U.S. urged Iraqi Prime Minister Nouri al-Maliki to focus his resources on Mosul to wipe out al-Qaida and prevent the insurgents from reorganizing there. Instead, the government shifted resources at a key moment to crush al-Maliki's armed Shiite rivals in the southern city of Basra, which prevented a decisive defeat of al-Qaida. Over time, the militants, exploiting ethnic tensions in the Mosul area between Arabs and Kurds, were able to reinforce their position. Michael Knights, an analyst at the Washington Institute for Near East Policy who closely follows regional security issues, said al-Qaida in Iraq has long generated cash from businesses such as trucking and real estate, and through extortion of large firms such as mobile phone companies. "If they're extending their extortion back out to local traders, that indicates they've got better street control," he said. "It just shows they're able to operate in the urban neighborhoods and don't see a security force retaliation like they did two years ago. And they don't fear informants identifying them." Abdul-Rahim al-Shimmari, a member of the Ninevah provincial council, agreed that extortion is making a comeback. He blamed rising political and sectarian tensions fueled in part by the civil war in nearby Syria, where mostly Sunni rebels are trying to topple President Bashar Assad, whose Alawite sect is an offshoot of Shiite Islam. Al-Qaida is also enjoying increased sympathy in Mosul because of what al-Shimmari called the central government's "brutal and irresponsible" handling of Sunni protests that have raged for months against the Shiite-led administration in Baghdad. In March, security forces in Mosul opened fire on Sunni demonstrators demanding the release of a local tribal sheik who had been detained. At least one person was killed. Human Rights Watch recently urged Iraqi authorities to investigate allegations that federal police executed five people, including a 15-year-old boy, south of Mosul in early May. Residents discovered the bodies more than a week later in the same area where the five were last seen being led away by federal police, according to the rights group. Maj. Gen. Mahdi al-Gharawi, the federal police 3rd Division commander who was named in the rights group's report, called the allegations baseless. He said the five were no longer in police custody at the time of their deaths. He blamed al-Qaida for killing them in an effort to tarnish the image of the police. A lack of trust from the people, who fear both the militants and the security forces, is hindering authorities' fight against al-Qaida and other militants, according to Iraqi officials. "The problem is that nobody in Mosul will come forward and complain" about al-Qaida's increasing abuses, said a senior military intelligence official, who spoke on condition of anonymity because he was not authorized to discuss operational matters with reporters. He estimated that al-Qaida is able to pull in between $1 million to $1.5 million from Mosul alone each month — a considerable amount in Iraq. "We want to catch these people red-handed, but the local government is not cooperating with the security forces," he complained. Associated Press writer Qassim Abdul-Zahra contributed reporting.